This sweet moon and star necklace set is one of those barely there pieces that gives just the right light touch of glimmer and shine. 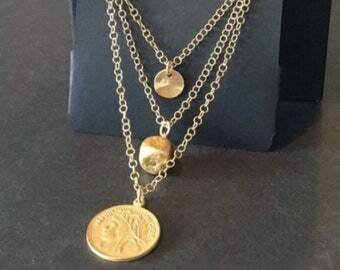 This set includes two separate necklaces. 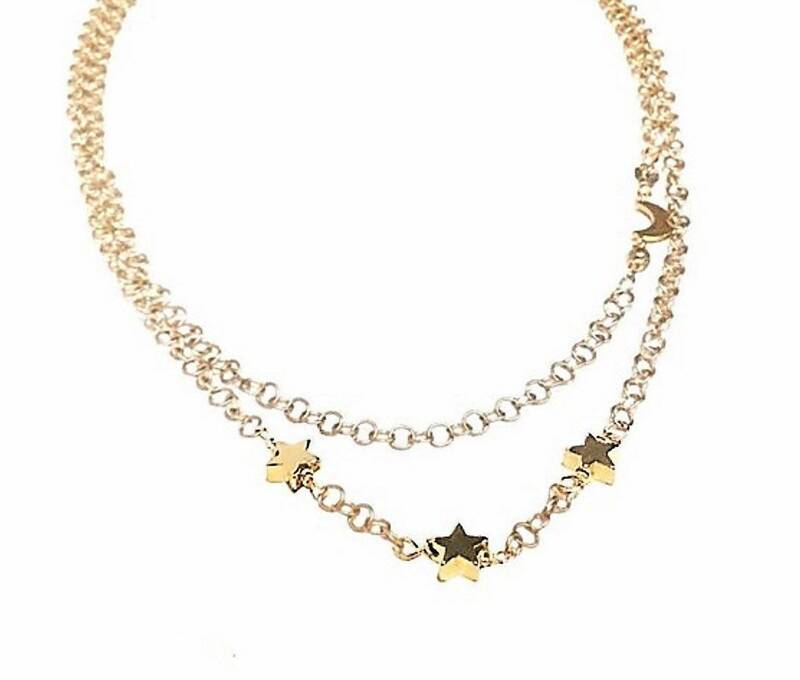 Three tiny polished gold plated stars adorn the longer necklace and a delicate crescent moon nestled between two tiny crystals adorns the shorter necklace. A perfect gift for your sister or best friend who loves delicate jewelry. These necklaces will come beautifully boxed and ready to gift. 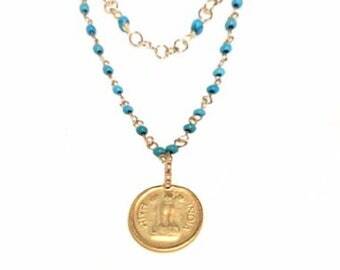 Please select the necklace lengths you prefer at checkout. LOOKING FOR A GOLD STAR LAYERED NECKLACE SET?